Summer has arrived and it’s that time of the year again when we sweat through all our pores and wait desperately for rains to arrive. The summertime in India can be ferocious. Apart from making us feel tired and wiped out, it can even be harmful by increasing the risk of heatstroke. So how does one protect oneself in this heat? Here are some tips for protecting yourself from the extreme summer heat. Wear very light, loose-fitting clothes made of cotton or linen, so that your sweat can evaporate. Do not exercise intensely during those times of the day when the heat is at its peak. Instead exercise in the cooler part of the day. If the temperature outside is too high with unbearable humidity, you should consider doing a cropped exercise routine. 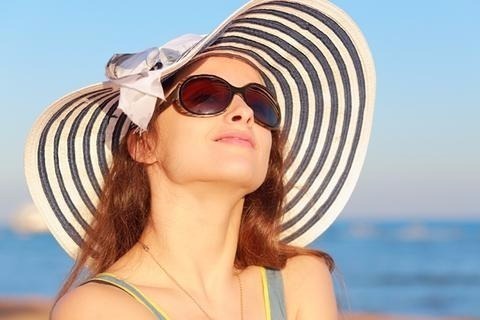 Don’t forget to put on a wide-brimmed hat for protection from the sun before venturing out. Drink lots of liquids to replace the fluids you lose from sweating. Do not wait until you feel thirsty. Water is the best drink to replace lost fluids. Water added with salt can be a great option if you sweat a lot. Let your body be cool at all times. Open a window, use a fan, or turn on an air conditioner. Do not wrap a baby in heavy clothing. Infants can’t endure heat well because their sweat glands are not well developed. Do not stay in or leave anyone in closed parked cars during hot weather, especially children or pets. We cannot stop the winter or the summer from occurring nor can make them any different from what they are. They are nature’s gifts which we cannot refuse. But we can take precautions to protect ourselves when each sets in. Stay safe and happy this summer!